Sarah’s shawl is hot off the needles. She used Pastaza yarn from Cascade which is a 50/50 wool, llama blend. 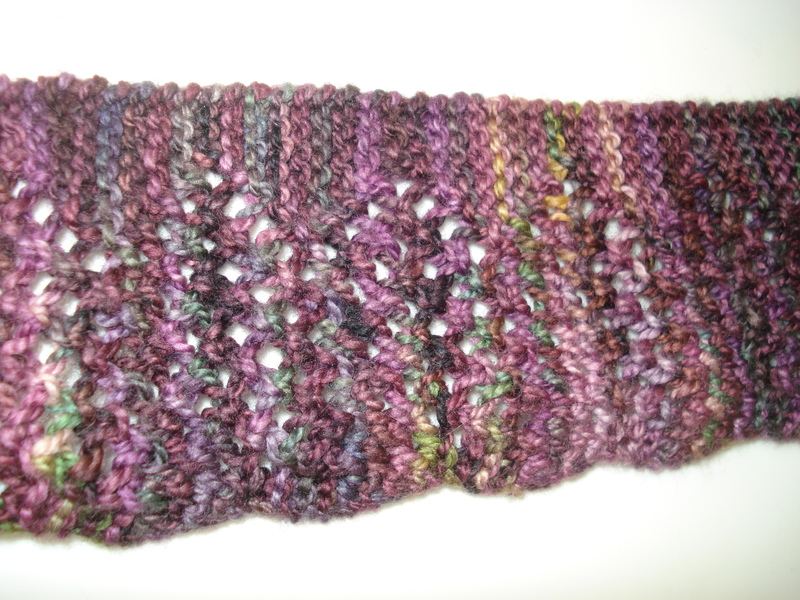 She believes the color was raisin and it is knitted on #9 needles so it goes pretty quickly. The pattern, called Cusco, comes from Cheryl Oberle’s knitted jacket book. She just washed and blocked it so hopefully it has settled down a bit. 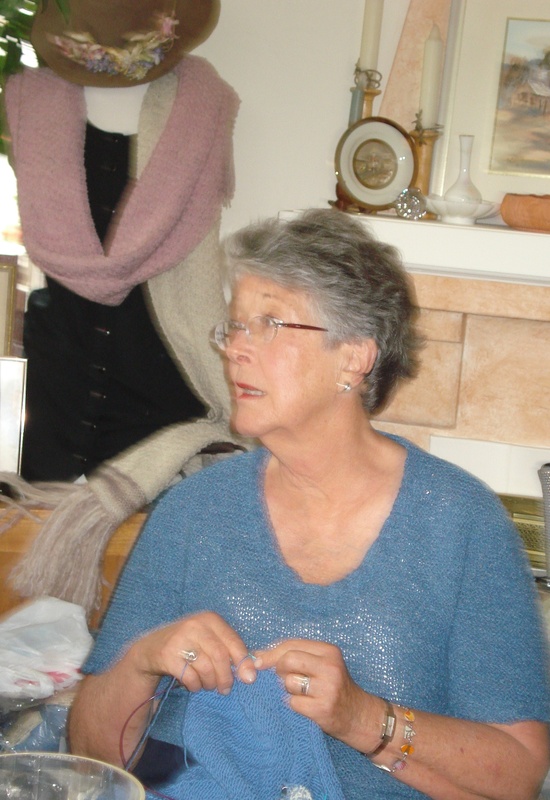 Jean wears what she knits! In this photo she is wearing one of her most recent creations. 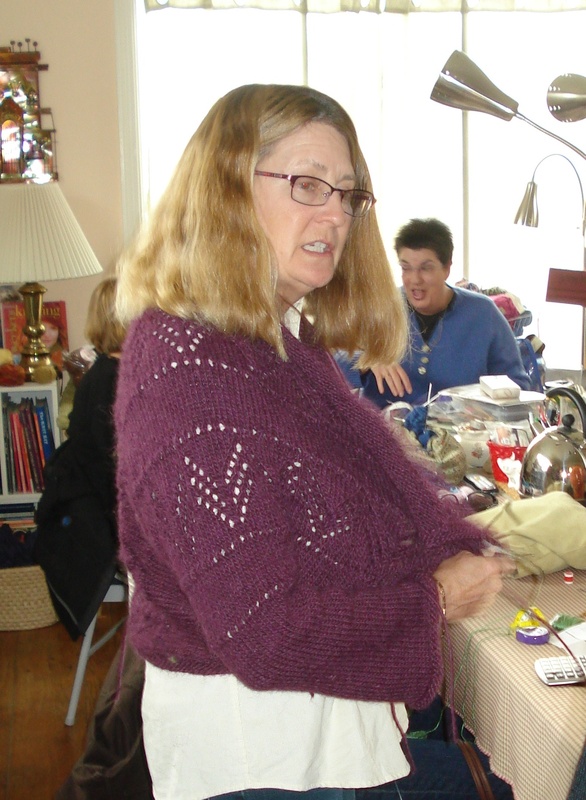 She used Elsbeth Lavold Silky Wool sweater the pattern came from Tahki Yarns’ terra collection booklet (cover picture). She always has something on the needles as she does in this photo. Cameron’s vision – she will use this as the edging for a vest. She is self-designing. Stay tuned!